Newly added in 2014, this holster fits the High Standard Sport King, the Mark I & 3, and similar handguns. It is narrower than the Large Auto, has a unique cut and trigger outline that makes holding and drawing these types of guns much faster and efficient. It has a 1” heavy nylon webbing thumb strap and high quality side release buckle to secure the gun into the body of the holster. 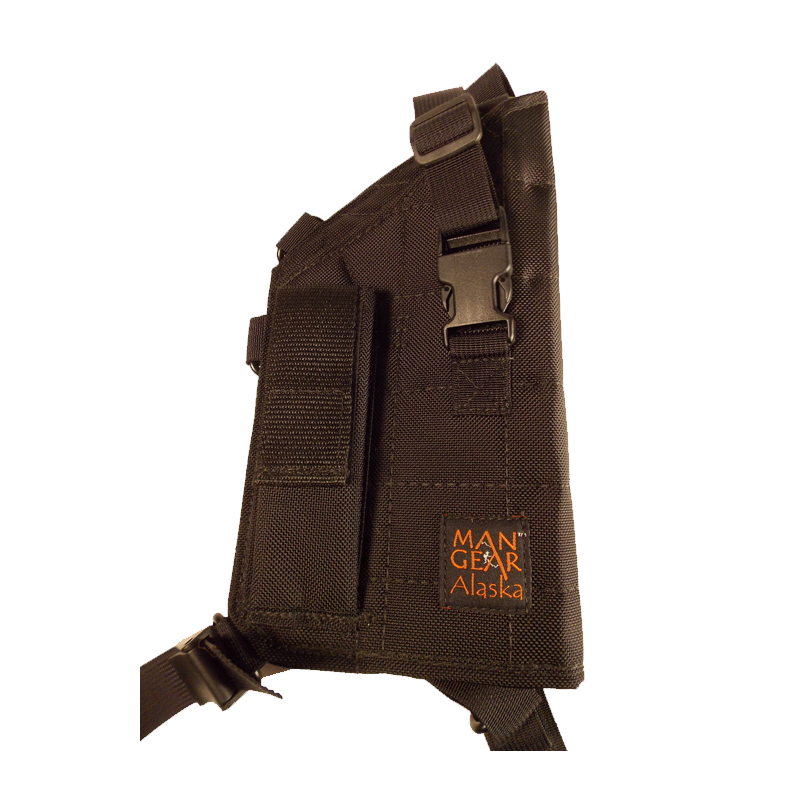 The double mag pouch is specifically designed to isolate each mag and totally encase these thin and highly angled mags to ensure they stay secure while bending over and moving. Trappers who carry .22 pistols are responding positively to this new holster.